Free service for prospective international students, who want to apply for an Australian Student Visa to study in Australia. Registered education agents give advice about the student visa Australia application procedures. We can guide you through the mine field and red tape of applying for an Australian student visa wether you are a novice or a veteran. Click contact us and provide some basic details and one of our professional agents will be in touch to help answer all your Student Visa Australia questions. There are many companies available to help however we will take much of the hassle and explain everything in a way that is simple to understand and all for free. After you have decided on the course that is right for you we will aid you on selecting the Australian student visa for your requirements and explain all of the costs involved while exploring the country to find the course in the state of your choice. Getting a suitable Australian student visa is not easy. Often, Australia student visa applications are cancelled due to lack of documentation or because the forms are not filled-in properly. Information on the type of an Australian student visa you need. Guidelines to apply for an Australian student visa successfully. Documents needed to be certified for the student visa Australia application form. Tips on international student visa fees, healthcare plans for your stay in Australia and admission procedure to education providers in Australia. Student Visa Australia eligibility assessments to help you know whether you have the basic requirements to get an AustralianStudent Visa. Suggestions for English language courses, English tests, foundation courses, and pathway studies to get a suitable Student Visa to further studies in Australia. The Australia student visa is a temporary visa - valid for the duration of your course. If you are not an Australian citizen, but want to take advantage of the Australian education system, you may apply for a Australian student visa. You may be entitled to apply for another temporary visa or even permanent residence before your visa expires. Otherwise when you have completed your studies, you will be required to leave Australia. Do you want to study in Australia? The Australian Student Visa allows you to bring your family members with you. There are more and more international students studying in Australia each year. Australia has some of the best educational institutes in the world, highly qualified teachers, unbeatable facilities, large campuses and a supportive environment. From high school exchange students to University students the one thing all these students have in common, no matter where they are from and what or where they are studying they will all require an Australian Student Visa. if you are under the age of 18 you will need to have a Student Guardian to be with you and have your own accommodation and welfare arranged for you during your stay in Australia. You must let the Department of Immigration know of any changes to your circumstances whilst in Australia and be sure to leave before your Australian student visa expires. Please remember also you will not be able to work whilst in Australia unless your visa states so. Most international students get a work permit for Australia. Your application will be based on an Assessment Level, this is a risk level decided upon by what course you are planning on studying and what country you are coming from. As well as ensuring all your Student Visa Australia application details are correct. If you abide by all the regulations you should have a fantastic stay whilst in Australia. There is no better place to get a great education. Below are the instructions from the Australian immigration department in relation to the procedure for applying for your Australian student visa. When you lodge your application, make sure that you comply with the Australian immigration law. All applications will be assessed and granted based on the information provided by the student. Therefore, it is very important that you include all required documents. If you’ve decided Australia is where you’d like to study, you’ve made an excellent decision. In addition, if you think you’d like to do some part time work or internship during your visit, there are a few guidelines that need to be met before you start applying for jobs. Before coming to Australia, you will need to obtain your Student Visa for Australia. Once you have this visa, you are permitted to work in Australia during your stay. But before you rush into things, the Australian Student Visa does come with some restrictions that you should be aware of. While studying in Australia, the Australian Student Visa allows you to work a maximum of 20 hours per week while you’re taking part in studying. The 20-hour limit doesn’t include any work you may be required to complete as part of your study course. When you’re not studying, during study breaks and holidays, you are free to work as many hours as you like. While you are in Australia, your visa limits you to only start working your course commence. After the commencement date, you’re free to start working 20 hours per week. Also, if you’re traveling to Australia with a family member, this same rule applies to them. They are also only permitted to work 20 hours per week, at all times. This rule is only void if your family members have started a masters or doctorate course, they are able to work unlimited hours. Remember, before you start working in Australia you will need to apply for and receive a Tax File Number, or TFN. To apply for a Tax File Number you will need to contact the Australia Tax Office. The process of obtaining a Tax File Number is relatively straight forward, but is mandatory before your start working. It is vital that all internataonal students have a student visa before they start studying in Australia. You will receive an offer letter from the institute you are intending to study with, it is up to you wether or not you take up this offer. If taking up an offer you will need to pay some or all of your course fee's, after the fee's have gone through they will send you a confirmation letter confirming you have taken up a student place at their institution. You will need this confirmation letter to apply for your student visa.aIt is important to remember to get your Australian student visa before commencing your studies. Applying for an Australian student visa can be done through your agent, the Australian Government will then let you know if you have successfully obtained your visa. It could take some time (a few months in some circumstances) for you to get your student visa Australia application approved as it mainly depends on your nationality and the educational sector in which you will be entering into. You can contact your local Go To Australia office for more information on the student visa Australia process. With a first-class education system, affordable cost of living and friendly people, it is no wonder Australia attracts its fair share of international students. If the course of interest is longer than three months, however, it is necessary to, first, obtain the correct Australian student visa from the Australian Department of Immigration and Citizenship. Along with opening the doors to a quality education, obtaining an Australian student visa also has additional advantages. Additionally, students are entitled to apply to work full-time during breaks in the school year. Family members who are interested in joining the student in Australia may also be eligible to obtain a visa; full details can be obtained from the Australian Department of Immigration and Citizenship. Prior to obtaining an Australian student visa one must first be accepted into a full-time Australian educational institution, and have received their Confirmation of Enrollment. You can be granted an Australian student visa only if you wish to undertake a registered course or part of a registered course on a full-time basis. Depending on your country of nationality and your principal course of study you may have to undergo a Pre-Visa Assessment (PVA) before an Electronic Confirmation of Enrolment (eCoE) is issued by your Australian education provider. To be granted an Australian student visa you must satisfy the student visa Australia requirements and comply with a number of visa conditions for attendance and academic performance which come into effect after you have entered Australia. Your Student (Temporary) Visa will list the conditions that apply specifically to you. It is important to comply with your student visa Australia conditions to avoid visa cancellation. Student visa Australia information on this website is an outline only and subject to change. For more detailed, accurate and up-to-date information on student visas and visa requirements please check the Department of Home Affairs website. If you are outside Australia and assessed at level 3, 4 or 5 you will need an 'offer of a place in a course' letter from your Australian education provider at the time you lodge your application. If you are at Assessment level 3 or 4 you must apply for Pre-Visa Assessment. Each education sector in each country is ranked according to four Assessment Levels based on the levels of students not complying with their visa conditions. The visa requirements or Evidentiary Standards you must satisfy are increasingly stringent from Assessment Level 1 through to Assessment Level 4. A fifth Assessment Level is available for emergency use and has the most stringent requirements. Further information on country assessment levels can be found at the DIMIA website. A Pre-Visa Assessment (PVA) determines a student's eligibility for a student visa and is necessary if your country is at Assessment Level 3 or 4. This involves obtaining a letter of offer from your chosen institution and submitting your visa application with all supporting documentation to your local DIMIA office for assessment. If the assessment is favourable, you will be issued with a PVA approval letter to give to your education provider authorising them to issue you with an eCoE. You will be also advised to pay the tuition fees and OSHC premium, and undergo medical tests. The student visa will be granted when the Electronic Confirmation of Enrolment (eCoE) and all other requirements are satisfied. An Electronic Confirmation of Enrolment (eCoE) is issued by your Australian education provider and is the only accepted evidence of enrolment for processing student visa applications. Depending on your country of nationality and your principal course of study you may have to undergo a Pre-Visa Assessment (PVA) before an institution issues an eCoE. The institution will advise you of its requirements but generally it will require payment of at least one semester of course fees before issuing an eCoE. A copy of your eCoE must be submitted to your local DIMIA office before a student visa can be issued. Information collected through the eCoE process includes the student visa application, visa grant and visa compliance data from a student's arrival in Australia and course commencement through to their departure from Australia. Sponsors are required to provide evidence of cash assets for the first year of tuition, living expenses and access to additional funds to cover the remaining cost of study and living expenses in Australia. form 26, Medical examination for an Australian visa, with a passport photograph attached; form 160, Radiological report on chest x-ray of an applicant for an Australian visa, with a passport photograph attached; your passport for identification; any prescription spectacles or contact lenses that you may wear; and where you have a known medical condition, any existing specialist reports. International students are required to pay Overseas Student Health Cover (OSHC) for themselves and their dependents. AusAID students are exempted from paying OSHC but are required to provide proof of sponsorship. Students from Norway and Sweden are not required to cover OSHC if they are covered by acceptable health insurance countries back in their home countries. Anyone entering Australia must be of good character.. The information provided at the 'Character Declaration' section of the application form 157A, Application for a student (temporary) visa (PDF file, 158KB) is for character assessment purposes. In order to enter Australia, you must have no outstanding debt obligations to the Australian government or have made suitable arrangments to repay them. If you are under the age of 18 and intending to reside in Australia with a custodian, then you are required to provide evidence of the relationship and that they hold a visitor visa of 11 months stay, or of a shorter stay if you seek to study for less than 11 months or turn 18 years before 11 months. Australia is reputed as a country that has some of the leading education institutions in the world. You can be part of the satisfied students from other countries who are studying in Australia. Your pursuit for education will be a unique experience with learning methods that encourage independent thinking that is full of creativity and innovation. Choose a registered course offered by an education institution in Australia for example a university. Ensure that the course is full time. The nationality indicated in your passport. The kind of student visa that you are applying for. The preceding factors determine the level at which you will be assessed. The levels of assessment range between one and five. The lower your level of assessment number, the lesser the documental evidence that you have to provide. The Student Visa is temporary and only allows you to be Australia for the duration of your course. You are required to leave the country by the indicated date on your visa. Please note that you may have the right to apply for another visa that is temporary or even apply for Permanent Residence. This though has to be done before your Student Visa expires. When you have a temporary Student Visa, it is a requirement for you to have an Overseas Student Health Cover (OSHC) for the length of your stay. This is a private insurance arrangement and the fee for it must be paid before the Visa is issued. It is renewed yearly. In a majority of cases the institution where you will be taking your course can organize for your health cover on your behalf. Skilled Overseas Student Visa (subclass 880, 881,882):- some of the students who complete a course they were studying in Australia can apply for Permanent Residency in the Skilled Migration Program. Australia like most other first world countries has a very strict visa policy and year after year many students all over the world make applications to Study in Australia. Some are successful but many fail to get admission. Australian Universities and colleges have a very high reputation of being institutions of excellence.-thus are very competitive. It is important that before you make an application to the Australian embassy in your respective country, that one get proper advice on how to apply rather than apply and be disappointed because of things that you would have done. Not all countries need a visa to come to Australia. The Australian embassy charges for each application and It is important to note that a visa is a privilege and not a right thus Australia like any other country reserves the right to accept or decline your application. It would not be possible that a small country like Australia would accept every application but Australia does admit hundreds of thousands of students into their learning institutions every year from every continent. The education standards in Australia are unquestionable very high and the country has produced some of the leading universities and colleges around the world over the years. The system and approach of learning often motivates innovation, creativity and encourages one to think for themselves. Apart from good education, the prospects of work and earning a good living are very high. It is not a secret that many students who have gone with the intention of studying have found it very difficult to return to their home countries after completion of their studies-mainly because they find the life in Australia irresistible. Please note: All our education counselling services are free! Australian institutions have nominated us as education advisers. Please contact us and get free advice! Students are required to meet attendance and course requirements and must have a valid course enrolment. They usually can work in Australia and this is is clearly stated in their student visa. All overseas students must keep their Overseas Student Health Cover (OSHC) while in Australia. They must immediately leave Australia upon expiry of their visa. Overseas students must stay with their education provider for at least the first 12 months of their course or if the course is less than 12 months, then for the entire duration of the course. They are also required to notify their education provider within seven days of arrival in Australia and likewise for later change of address. International Students who wish to study in Australia for longer than 12 weeks will require a Student Visa for Australia. When applying for a Student Visa Australia, Course and Health Insurance (OHSC - Overseas Student Health Cover) must be paid in full in Australia before a visa is requested from immigration. Further information regarding study visas for Australia is available from the Australian Embassy, High Commission or Consulate General in your country. After applying for an Australia Student Visa, international students can come to start their studies in Australia once the Australia Student Visa has been granted. Having started to study, the international student can apply to work up to 20 hours a week and full-time during holidays. There are strict guidelines to who can obtain a student visa and what they can and can't do during their stay in Australia. Australia is welcoming more and more students under the age of 18 into the country each year. Of course you can not expect a teenager to come to a new country and look after themselves. Here is where the Student Guardian Visa comes in, the student guardian will help care for the student during their stay in Australia. There are strict guidelines to who can obtain a student visa and what they can and can't do during their stay in Australia. The student guardian must be related to the student, must be over 21 years of age and of sound character and must of course meet health and financial requirements of any visa holder. A student guardian must be related to the student in one of the following ways: * Parent * Brother or Sister * Step Parent * Step Brother o Step Sister * Grandparent * Aunt or Uncle * Niece or Nephew * Step Grandparent * Step Grandchild * Step Aunt or Step Uncle * Step Niece or Step Nephew The student guardian must arrange all accommodation, food, clothes and provide general welfare to the student during their stay in Australia. Student Guardians are not permitted to bring any family members into Australia and can only bring their dependent children if they are under the age of 6 years old. Once you are in Australia there are rules you must abide by. You will not be allowed to work whilst in Australia, you can not study for more then three months, you can not apply for any other Australian Visa unless you require an extension, you must have approved overseas visitors health cover. Obtaining a visa anywhere may seem like a lengthy and complicated process, how ever it is well worth it. 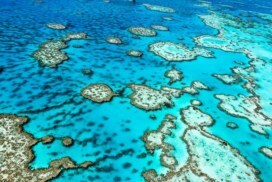 As long as you abide by the above rules you should have a great and happy stay in Australia. hold a passport that would make them subject to assessment level 1 or 2 for a Schools Sector visa. There must also be compassionate and compelling reasons for granting the visa. Other family members cannot be granted a student guardian visa. If you intend to be the student guardian of more than one student while in Australia, you must notify the department (when you apply) which student you would like your visa linked to. Who can be a student guardian? meet health and financial requirements. You must maintain your approved overseas visitor health cover. to engage Australia's obligations under the 1951 UN convention relating to the status of refugees. You must continue to meet the requirements for a Student Guardian visa. You must live with the student who has nominated you and, if the student is under 18 years of age, provide appropriate accommodation, welfare and general support. notifying the department before your departure that you have made appropriate arrangements for the student’s accommodation, welfare and general support in your absence and (if the student is under 18 years of age) obtaining written approval for the changed arrangements from the student’s education provider. Please be aware of the Australian study fees that are around AU$ 7000 - 12000. Living costs in Australia are around AU$ 300 in a week. The Australian Government operates an overseas student program that allows people who are not Australian or New Zealand citizens or permanent residents to study in Australia. Further information about the overseas student program is available from our agency. In 2016 student visa Australia applications went up by over 20% while 280 000 student visa’s were granted by the Australian government, while student’s from nearly 200 countries made Australia home from anywhere between three months to six years while they finished their studies in a wide range of institutions from TAFE’s, to universities, secondary schools and vocational colleges. So, Australia has a good reputation for producing high quality educational outcomes for international students who want to start their academic career in a professional environment that is rated alongside other developed countries in a favourable light. 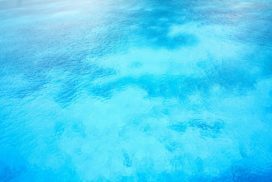 But there are a few things to take note of before you book your trip out here. And one of those things is cost. It will cost you roughly $400 per week to live in Australia depending on where you live. And this is just the basics and does not include OSHC (Overseas Student Health Coverage) which is roughly $380 annually, travel expenses, and tuition fees that will most probably have to be paid before you start your course of study. OSHC (Overseas Student Health Cover) is compulsory for international students under Australian law and is a stipulation on your visa before you are allowed to enter the country. And any lapse on the student’s behalf in paying OSHC fees can put their student visa in danger, although you are protected from this risk if you are a Swedish or Norwegian citizen because your government has a government to government agreement with Australia. The Australian federal government has a website that has details on this and other issues related to OSHC that you can access, although your AA Education Agent would be the best person to talk to about it. applied for and been accepted to study in a registered full-time course at an educational institution in Australia. The Department of Immigration and Citizenship assess students on the likelihood of them overstaying their visa period and becoming illegal immigrants by giving all students an assessment level that is in accordance with the risk of student’s from your country residing here permanently illegally. International students with the high assessment level will have to bring more documentation with them so they can prove the validity of their student visa Australia application. While students with an assessment level of (AL 1) will have to bring only what is required for an Australian student visa that is appropriate to their particular needs. And to find out what your country’s assessment level is and what documentation you will need for you student visa Australia application then you will have to contact the Australian Diplomatic Mission in your country. Or you can contact your Go To Australia Agent and she/he will assist you with the student visa Australia process in a professional and aptmanner. Because you are an international student you do not have the opportunity to study part-time, but must remain in full-time study during the time you are here that has been allotted to you as a part of your Australian student visa. So it would be difficult for you to earn some extra money while you are here. But remember that you can work full-time during semester breaks 20 hours a week during the semester. You will have to be enrolled in a course of study before hand. So contact us to see if you have prepared all of the appropriate documentation and you are in their registry system as a full-time student before you go job hunting for that part-time job. Also you would have to take into consideration whether you can work part-time and deal with a full-time study. So check with your education provider about how much coursework there is in your course of study and whether you can complete it to a satisfactory level while working on a part-time basis. Do not bite of more than you can chew, because time is money for international students and you do not want to waste money resitting coursework that you should have passed and now your visa is in peril of being terminated. So make an informed choice and if you can handle both than earn that extra cash to make your life a little bit better while you are studying in Australia during your academic career. Depending on your needs your Go to Australia Agents can help you decide is most applicable visa for your situation. The stipulations for the Australian student visa are that you must maintain a satisfactory attendance record during your course of study and progress according to the guidelines set down by your educational provider while you are studying in Australia. A student must maintain adequate OSHC while they are in Australia. It states that you must continue to satisfy the requirements of your visa while you are a student in Australia and your course of study has to match the course of study fixed on your visa. Holders of a student visa also have to maintain a satisfactory standard of living and appropriate financial assistance so they do not have any undue financial hardship while they are completing their academic qualification in Australia. Students with school aged children who will be in the country for more than three months and need to make sure adequate living arrangements to be found and maintained for those dependants while the parent’s are studying in Australia. People under the age of 18 need to have suitable living arrangements orgnised, get the support and well being while they are in the country. They must remain in the custody of a parent or guardian, or a relative over the age of 21 who is of good character. If the applicant under 18 has no family member’s in Australia than they must make suitable arrangements that have been approved by their education provider that meet the requirements according to the visa for adequate housing, support and general well being while they are studying in Australia. GotoAustralia can help you with all of the issues related to getting your Student Visa Australia Application. GotoAustralia Agents can be contacted by email everyday, at any time during the day or night. Information on student visa Australia requirements, working while studying, extending your stay and changing course or education provider. Your local Go To Australia counsellor can assist you with student visa Australia applications. Meet health requirements (you may be required to undergo a health check). Obtain health insurance Overseas Student Health Cover (OSHC). Have sufficient funds to cover all study and travel related expenses while in Australia (at least AUD$12,000/year for living costs). Meet English language proficiency requirements for their preferred course (IELTS test score may be a means of assessment). Have arranged suitable accommodation if they are under 18. For more information about Australian visa requirements, please contact us or alternatively visit the student visa FAQ. Can I work in Australia while studying? Yes. The Australian student visa allows you to work up to 40 hours per fortnight. 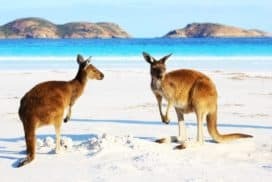 Can my dependents work in Australia? There are no restrictions on postgraduate students. 20 hours per week for TAFE and Higher Education students. How do I get a tax file number and do I need one? You'll need one for banking and employment purposes. You can get a application form from your education provider or your nearest post office. 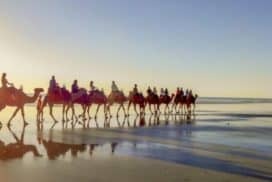 Can I convert my tourist or business class visa to an Australian student visa while in Australia? Applicants from assessment level 1 & 2 countries are permitted to do so. For applicants from level 3 & 4, they are also permitted to do so but under special circumstances. Can I apply for packaged programs under my student visa Australia application ? Yes, all students are permitted to do so. Does the Australian embassy accept faxed copies of Electronic Confirmation of Enrolment (eCoE)? Do I need to notify anyone about change in address? For visa labels 8506, notification must be made to the Department of Immigration & Citizenship within 2 working days before moving to new address. For visa labels 8533, the university must be notified within 7 days of moving to the new address. Do I need Overseas Student Health Cover (OSHC)? Yes, it is compulsory by law to show evidence of OSHC when apply for an Australian student visa. Can I change or modify my program after initial enrolment? Yes, subject to approval from the relevant Head of School or nominee. If the new course has a longer duration than the initial one, then the student will have to apply for a new Australian studentvisa. Can I change to another institution within the first 12 months of my program? This is subject to conditions attached to your Australian student visa. DIMA may approve transfers only in exceptional circumstances. What is a full time program of study? A full time student takes 18 or more units of study in a term at the time of the census date and 36 or more units in a year at each of the three census dates. Can I re-enrol in summer/spring school after withdrawing from a course? What pace of academic progress is required to to fulfil the Australian student visa requirements? The Australian government considers students completing their programs within standard duration to be making satisfactory progress. Your education provider has specific guidelines addressing this. What do I do if I am not happy with my academic progress? You should contact the Academic Coordinator, Head of School/Faculty or the International Student Support Officer. 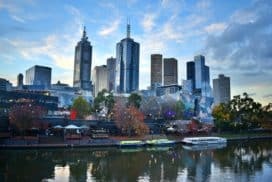 Can I extend my student visa in Australia? This is possible if your current Australian student visa has no 'further stay' conditions. If I cancel my program or enrolment, how soon will I have to leave Australia? 28 working days following completion of program. If I complete my program early, am I entitled to remain in Australia for the duration of my student visa? Once you have commenced your study, and after you have been granted work permission, you may work full-time during vacations when your semester is not in session. During session you may work up to 40 hours per fortnight. Family members of Masters and PhD students may apply for unresticted work rights once the primary student has commenced his or her Masters or PhD course. This also applies to AusAid dependants of Masters and PhD students. When can I travel to Australia and do I need a return ticket? Your Australian student visa can be granted a maximum of 12 weeks (2 months and 3 weeks) before your course commencement date. You may travel to Australia on a one-way ticket if you hold a student visa. 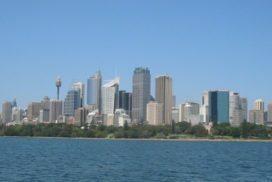 My course was completed on 30 November and my Australian student visa expires in March next year - what options do I have ? Do I have to leave Australia within 28 days of my course completion? No. You may remain in Australia until your visa expires or is cancelled. If you plan to remain in Australia you must apply for another course, another visa, or depart Australia after your graduation. I want to travel overseas. When should I make my further student visa Australia application? You need to make your application for a further student visa before your current visa expires and ensure that you comply with all your visa conditions. As a valid Australian student visa allows you multiple travel you can apply either before your departure or when you return to Australia. If your student visa is expiring shortly, you may be asked by airport staff on your arrival to Australia to demonstrate your intention to continue studying in Australia. Your confirmation of enrolment or letter of offer or graduation from your education provider should be used to demonstrate this intention. Can I return to Australia after visiting family members overseas and apply for graduate skilled permanent residence? Yes, but you must ensure that you comply with all your visa conditions. You should consider making an application for a Graduate Skilled (subclass 497) visa before you depart Australia, as this visa is most applicable to your situation. I am resident outside my country of citizenship. Should I apply in my country of residence on in my country of citizenship? You must apply at the office in your country of residence. I cannot get an appointment to sit an International English Language Testing System (IELTS) test, but my education provider is satisfied with my level of English. Can I get a visa? No. Where an IELTS test is required (for Assessment Level 3-5 applicants), then you must sit the test before you make your student visa Australia application. This is a legislative requirement that cannot be waived. My passport is expiring soon. How do I transfer my valid student visa to my new passport? Your Australian student visa is linked to your passport. When you get a new passport, you should visit your nearest immigration office, get your information updated and your visa re-evidenced in your new passport. You may also travel to Australia using both passports: the new one which is valid and the old one with your student visa affixed in it, as your Australian student visa is still valid whether the passport has expired or not. Applicants from Assessment Level 1 countries may well be permitted to convert to student visa within Australia. Students are asked to contact the department of Immigration and Citizenship to determine eligibility. Applicants from Assessment Level 2, 3 and 4 countries need to apply for a student visa from outside Australia, unless you have a special circumstance where you are permitted to apply onshore. electronic Confirmation of Enrolment (eCoE)? Yes Australian Diplomatic Posts can retrieve this electronic copy. Within seven days of their arrival. Students also need to notify personals seven days prior to address change. Definitely is it a condition that students are to maintain adequate health insurance approved by the Australian Department of Health and Aged Care, for the duration of their program. Can I change my program/course of study after I have enrolled at University? If this condition is not stated on the student visa, a change of program/course of study shall be subject to the approval from the relevant Head of Department/School or Nominee. If a student visa is subject to Conditions, the student must not change their course of study without prior approval by the Department of Immigration and Citizenship (DIAC). If a student visa is subject to conditions on their student visa, the student must remain with the education institute with whom they originally enrolled with for the duration of the course if under 12 months, or the first 12 months of their course. Every case is different and has different condition to the individual so contacting us with any further quires is welcomed. against their academic status of Terminated. While students are currently enrolled in full-time study, they may renew their student visa in Australia as long as their current student visa is not subject to Conditions 'no further stay'. It is advised that steps are taken to renew a student visa approximately one month before the existing student visa expires. In some cases where a application is refused students may request a review of the decision. No, international students are not permitted to take a formal Leave of Absence. In exceptional circumstances or illness, international students may be permitted to defer their studies and avoid visa cancellation. No. If students wish to remain in Australia they must contact the Department of Immigration to find out eligibility. - The National Code of Practice. More information is also available on the Department of Immigration and Citizenship website. Contact us for more information. "Last year, I've decided to use this economic recession to my advantage by studying in Australia. I'm certain that my postgraduate degree in Journalism will enhance my resume and benefit me in the long run during my job search. 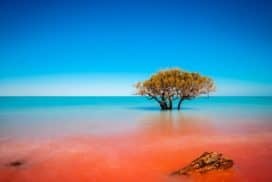 Instead of sulking in self pity because you can't find a job after graduation, why not utilize your "gap year" in an extraordinary way by studying in Australia? 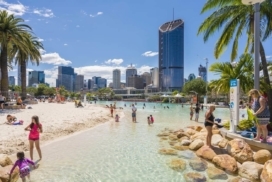 Not only is the weather over there a tourist's dream come true, with its tropical climate and sunny skies year round, but the unemployment rate is a lot lower in Australia too compared to other countries, including the U.S. Furthermore, your Australian degree will be recognized in many countries once you graduate, especially the U.S.